The big news around our house is that Angie and Jason (my sis and BIL) have been approved for their adoption in Ethiopia!!! The wait should be from 1-2 years, which I'm sure will seem like an eternity to us all! Sweet Collin "graduated" from Pre-K a few weeks ago! Even though he's going to do one more year of preschool before kindergarten, it seemed like a pretty important milestone. He has learned so much, and seems SO big all of a sudden. Is that happening to anyone else? 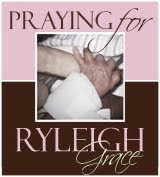 A precious family is in need of prayers for their baby girl, born yesterday at only 24 weeks. Rod, Kamara and Aubrey remain faithful that God hears and answers!